Horror is certainly one of the most difficult genres to tackle in this day and age - genuinely scaring the audience without spamming repetitive jump scares or creating inadvertent giggles is tricker than it sounds, and so many horror flicks in modern cinema are consequently met with mixed results. 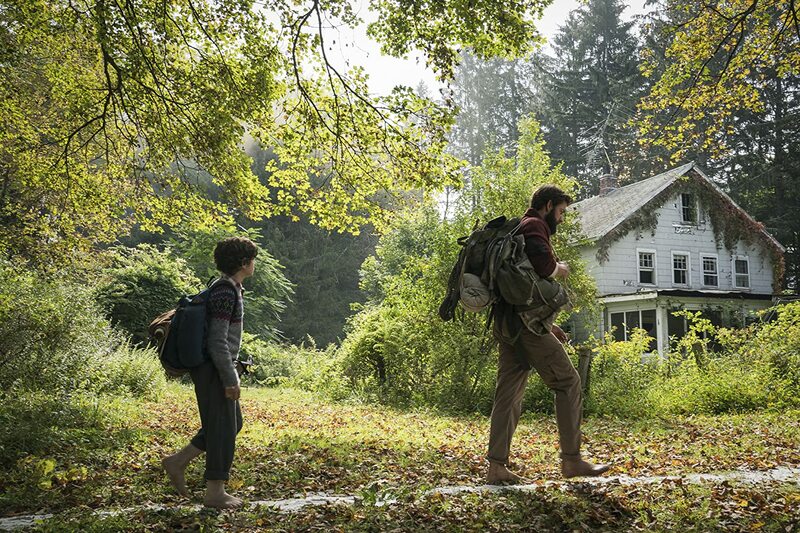 However, every so often a rare gem comes along, one absorbing, narratively compelling, and equally thrilling; one such gem has now arrived in the form of A Quiet Place, at the hands of acclaimed actor and now rising director Josh Krasinski. A Quiet Place doesn't go into it's premises backstory with extensive detail, which isn't perhaps hugely necessary but may yield mixed results for many; in 2020, humanity finds itself largely wiped out at the hands of a group of powerful monsters with remarkable hearing skills. The Abbott family finds themselves one of very few survivors in the wasteland around them, communicating through sign language and scavenging secretly for supplies to prevent detection from the creatures hunting them down. Again, not a huge amount of backstory is explored, which will confuse and maybe frustrate some viewers, but in the end such unaddressed concepts don't prove too detrimental to the overall story. In fact, many other key factors are indeed explained through subtle methods, such as brief glances at newspaper headlines within the Abbott's home; a clever if sometimes incomplete method of storytelling. 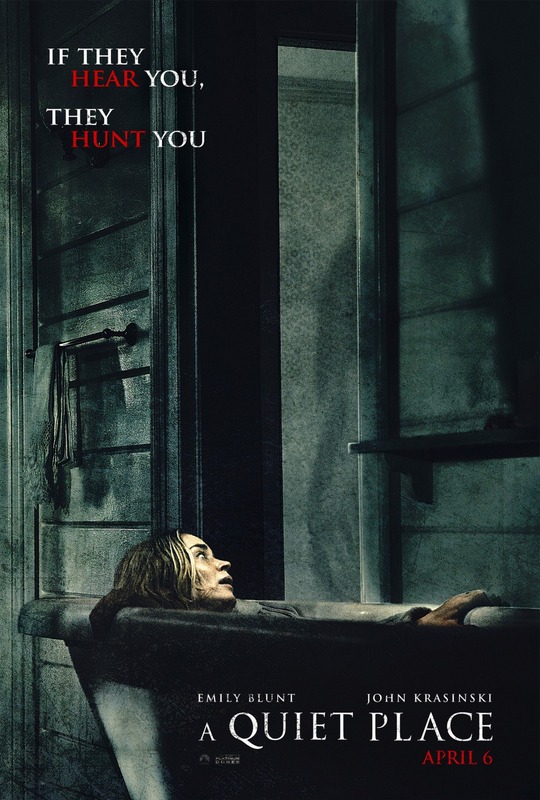 Such subtlety also helps the unsettling moments nicely prosper; A Quiet Place certainly earns it's place within the horror genre, crafting a gripping atmosphere that'll keep viewers on the edge of their seats, and restricting the jump scares to moments that are genuinely freaky, not just a cheap barrage of loud noises. What helps such a thrilling vibe prosper even more is of course the efforts of the cast themselves; Krasinski stars at the Abott father, Lee, alongside Emily Blunt as mother Evelyn, Noah Jupe as son Marcus, and Millicent Simmonds as daughter Regan. Their chemistry and development is strongly managed, bringing to life a number of heartwarming and equally heartbreaking moments as the story slowly unfolds. As for our main villains, their disturbing design and limited visibility for most of the story arguably benefits their intimidating presence, but they thankfully remain just as outright terrifying when seen up close on several occasions; it's this coupled with the overall pale and sombre visual design of the ruined Earth that makes all the scares occurring within it even more fitting and effective. 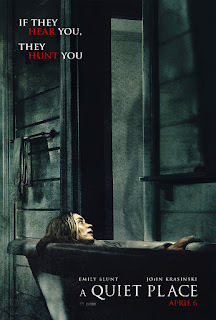 Such traits all in all render A Quiet Place one of the best horror films modern cinema has seen in a long time without a doubt, and one any fan of the genre must check out as soon as they can.